We have some exciting news! Skip Archimedes is returning to Mastery Path for a second time and we are delighted to be hosting this big one day event in the Great Nave at The Monastery on Sunday, 27 November 2016 from 10 am – 5 pm. Look Young, Feel Young and More Energy! And I’ll be your trainer for this “Living Forever Young” 1-day event. But before I tell you more about me—meet my friend Mimi (she’s in the middle). Meet Storm, Mimi, and Annette… they are all 65+ years-young! I have a few questions for you …What if the looking young, feeling young and staying young did not have to be a costly, complicated or time-consuming? What if we told you that being young and staying young is the natural state for human beings? Look Young. Feel Young. Stay Young. In just 1 day, you too can learn these forgotten longevity secrets revealed in Skip’s 88 hours of interviews from 22 leading authors, doctors and experts across the globe! Reverse the Aging Process and look great forever (just like Mimi and Annette). Have a Glowing Appearance naturally from inside out! Have Lasting Beauty Inside and Out looking young, feel young and stay young. Wake-up with More Bounce in Your Step ready to tackle the day. Stay Energized throughout the day. Have more Time, Energy and Zest to spend with your friends, family and loved ones! Be Focused, Inspired and Purposeful at work, on the weekends, with your friends and with your family. Finally live a life Symptom-Free! If you are excited and curious to learn even just ONE of the following—register for this 1-day training now! Why Aging The Way Most Do is Actually NOT Natural. Look good, feel confident, and be energised. Simple Methods to develop an AMAZING BODY inside and out. It’s about practices that help your body return to its natural state. Skin DAMAGE! Why Skin Care and Sunscreen products are actually damaging your skin. And what you REALLY need to do to have young, smooth, vibrant and healthy looking skin that radiates from the inside out! The Truth about Gaining More ENERGY. Simple techniques to boost your energy within a matter of minutes — regain the energy you had as a child, so you can wake up feeling refreshed. Why Exercise Can lead to WEIGHT GAIN. Fitness versus being healthy. There is a BIG DIFFERENCE between fitness and health. Knowing this alone can supercharge your physical and mental energies. Why Being Healthy Does NOT need to Cost a Lot of MONEY! Contrary to popular opinion, you don’t need to spend huge amounts of money to be healthy. Cost-effective strategies to have more energy, look more vibrant and reverse aging. Why DIETING is Doing You DAMAGE. Dieting can be debilitating. Learn what you can do instead to enjoy the journey of living Forever Young. Making this change can save you years of pain and wasted effort. Dairy MYTH Busted! Do you know that countries with the highest rates of osteoporosis are the ones where people drink the most milk in their diets? Dairy is bad for you and your bones! Why SUPPLEMENTS Are Costly to Your Health and Wallet. Know the difference between supplements and superfoods—and get that energy and glow you deserve. GOODBYE to Aches and Pains Time-tested practices that you can use to eradicate many of those ailments that have held you back in life. Why Most Of The Food That People Eat Are Harming Your Body and Make You Age Faster! Some of these are even deceptively marketed to you as “healthy” by big food manufacturers. 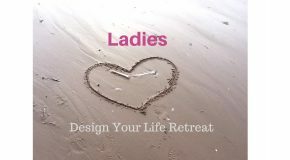 Participants often walk out of this training with a sense of clarity and confidence they have never thought possible before. Many people spend 100’s if not 1000’s of pounds on health supplements, serums, tonics and facial treatments, and other things that are simply temporary solutions (often costly too). Stop spending money on things that don’t work. Arm yourself with timeless knowledge that does work! We are sharing tools, tips, strategies and exercises you can use immediately. Some, you will use during the event—others you can take home and try. This is educational. Something we should have all gotten when we were young—but didn’t. Just a taste of it so you can make an informed decision. Of course, there will be opportunities to work together after the event. But we leave that to you to decide. No hype. No hidden agendas. Simply looking for a way where all of us can benefit from the training. Skip is the producer of an upcoming movie “Forever Young” where he worked with 22 leading authors, doctors and experts across the globe who are already making a positive impact on the world today. He believes that this movie will help people understand the Forever Young spirit to help them look younger, feel younger and live longer in a body they love. Skip began his career as a competitive gymnast and reached the heights of British Gymnastic Champion. Then during a training session he experienced a living nightmare; he broke his back! Doctors and Specialists said he would never walk again! Unwilling to accept the answer Skip went on a mission to find a cure. With intensive research within just 6 months, Skip began to learn how to walk again. Within just 18 months he had returned to full fitness and became British Gymnastics Champion again! Skip can empower you no matter what level you are playing life at and if you want to see him live so you can grab some of this wisdom for yourself then he’s in Manchester for one day only. He has a wealth of knowledge on health and vitality, and the power of having the right mindset. As a transformational coach to the rich and famous, Skip has worked with many big names like Sir Richard Branson, Andrew Lloyd Weber and Tony Robbins. Skip now dedicates his life to help people overcome health issues and share his message about the benefits of a life with optimum health, energy and vitality. Advance booking essential. Staff at The Monastery prepare the room in advance and catering numbers need to be confirmed a week in advance. Your co-operation greatly assists with planning. This event is being held in the Great Nave. Arrive punctually and network with like-minded people. £50 VIP (includes reserved seating at front, lunch in private room with Skip with opportunity to ask questions, follow-up webinar with Skip for VIPs only). Small Eventbrite booking fee added. Joining Instructions: Dress in layers. Bring a pen and notepad to capture the golden nuggets. Large free carpark on site. Bring your own snacks. If you’ve booked after Wednesday 23 November, please bring your own lunch. Or Tesco is a short drive away. Debra Sofia Magdalene met Skip when he first spoke at Mastery Path in 2012. In May 2013 she attended his 5 Day Detox Retreat in Spain and learned so much about health and nutrition – it was life transforming. Whilst on the retreat, she also connected with Christof Melchizedek and arranged two talks for him in Manchester in July 2013. 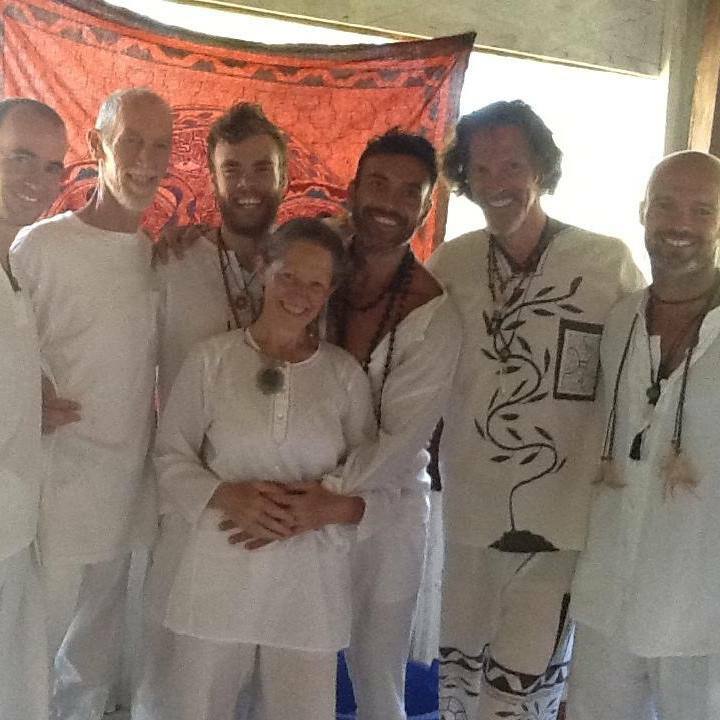 Then in September 2013, she went on retreat with Children of the Sun Foundation in the Peruvian Amazon Rainforest where she spent time with Skip, Christof, Akasha and other beautiful souls. Life hasn’t been the same since. Skip and Debra recently reconnected at a gathering of the UKs 144 Leading Evolutionaries. A week later Skip attended a Mastery Path event at The Monastery where Christof and Akasha were speaking. And this full day event is the result of the magic being weaved. We hope you can join us and create your own magic. Learn from the best in the industry … Skip The Miracle Man.